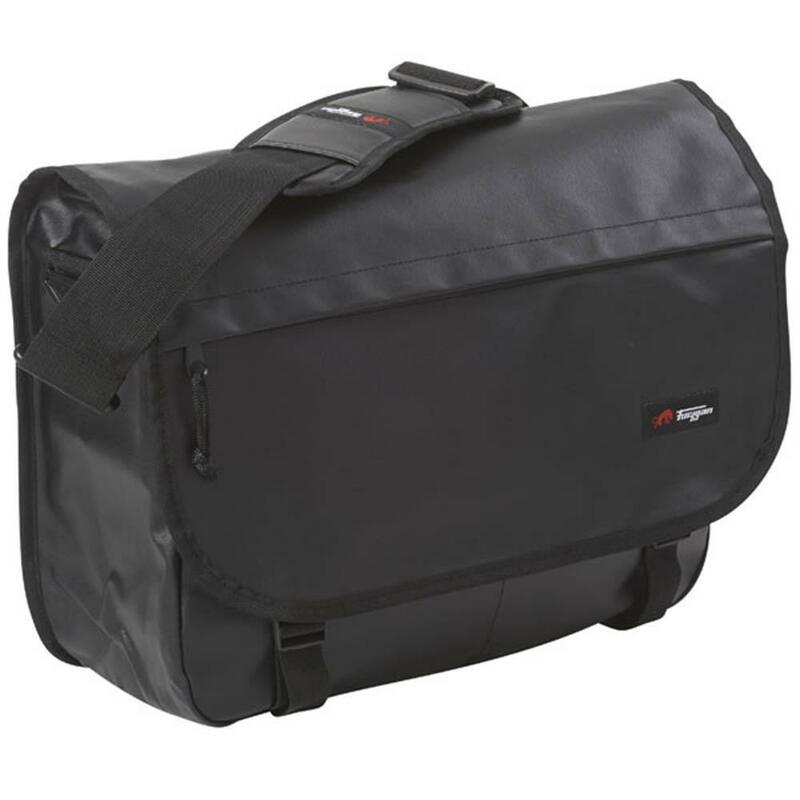 A classic messenger bag with two simple adjustable clips fastening the main flap. 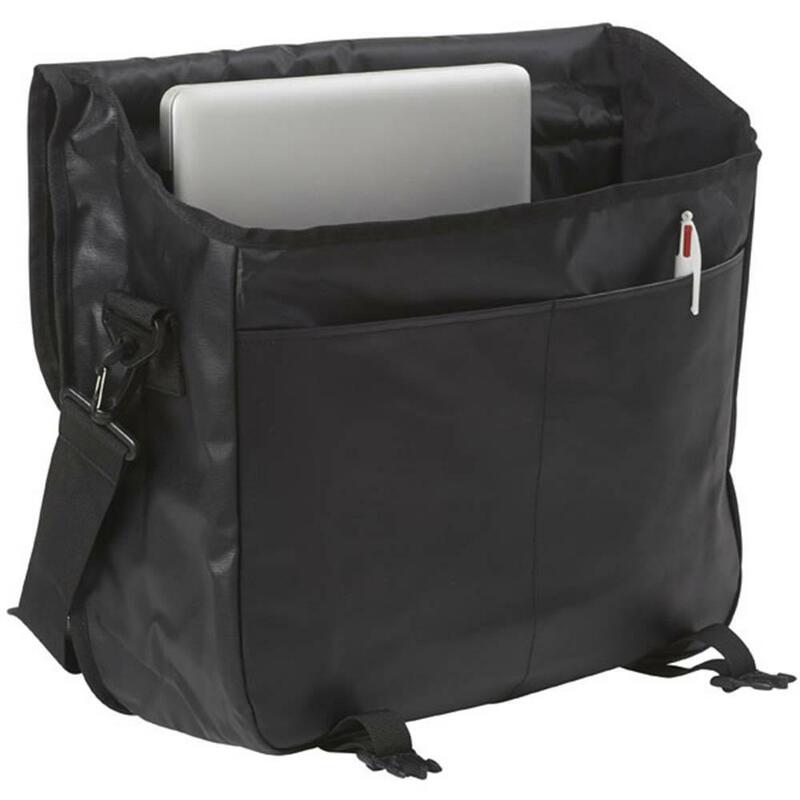 That won’t form a perfect waterproof seal, though the PVC-coated canvas of the bag itself is waterproof, so any water that does get in then won’t drain out as you ride. There’s a zipped pouch on the front flap and outside the main compartment there are two bottle-sized chambers. The pad on the shoulder strap is a decent size and shape, but we found it reluctant to stay in position. It’s very quick and easy to use, lightweight yet reasonably tough.